I recently made this Mosque Painting, using the techniques i used on a previous painting of Penshaw Monument, but instead of the monument on the hill, I painted a mosque instead. The first painting is below. 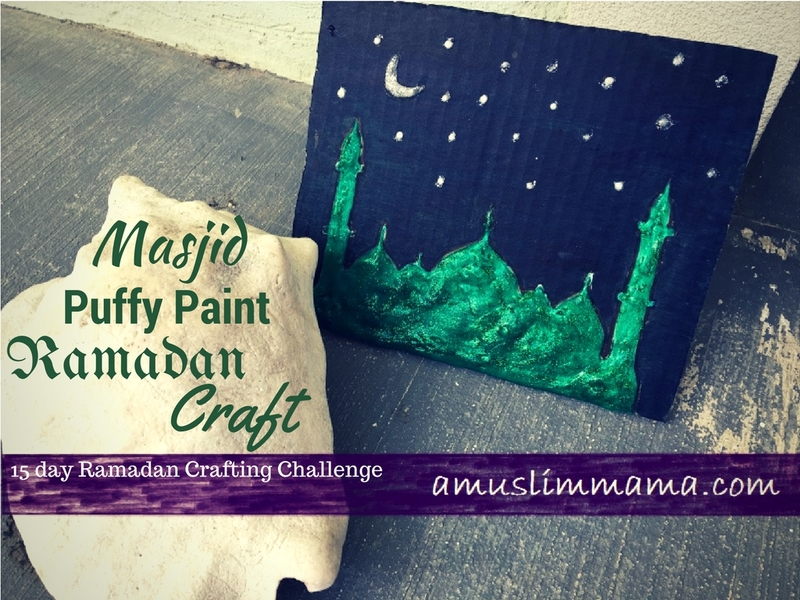 Ramadan is approaching near and in order to welcome it, some are preparing and wrapping rolls while others are perfecting their prayers, I sat down to do my research and allowed my creative juices to flow so that I could come up with fun crafts for the kids. Specially the ones who have recently started fasting or will be fasting this year of the next. i.e. Ages 6/7 and above. 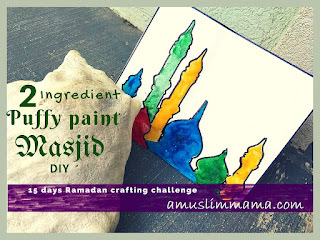 No wonder Ramadan is the month of Ibadah and to work on our spiritual dimension, but as mothers our duty to our kids is also to teach them about Ramadan and engage them in fun activities to develop their interest in fasting. And the best way a kid can learn/enjoy anything is by &#39;doing&#39; something about it. Living in west I noticed that even months before the start of December, kids are inundated by all the activities and shows and events relating to Christmas, I feel there is a stark lack of the same when it comes to Ramadan. We want our kids to be excited about Ramadan, we have to make it fun for them, we have to device fun ways to inculcate Islamic concepts in them, therefore I had to come up with something. And I did. 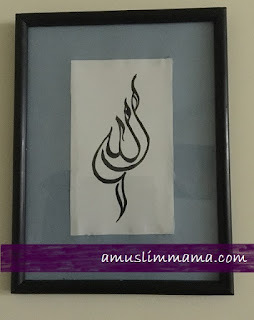 This is a very simple project, you trace/print the calligraphy picture and color it with sharpie. Kids of 5 years and above should be able to do it with parental help. This project is good for 7 years and above, because it is a little trickier and require parental supervision while using the oven. But again even younger kids can make their own random patterns (in a cupcake tray) and bake it to reveal awesome patterns of a sun catcher. above 3 years can do this craft. Younger kids can still get to mix the batter which is the favorite part of my 2yo. too. 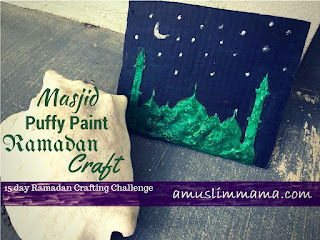 With parental supervision 3yo and above and do this craft as well. 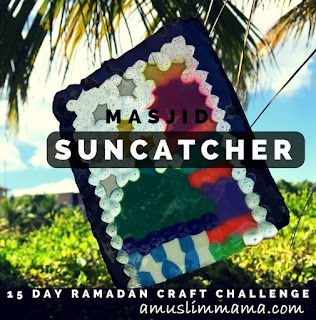 This craft is for older kids, with Parental supervision 5yo and above should be able to trace and color the pattern and might be able to cut it as well. and the Parent will get to help and bake. 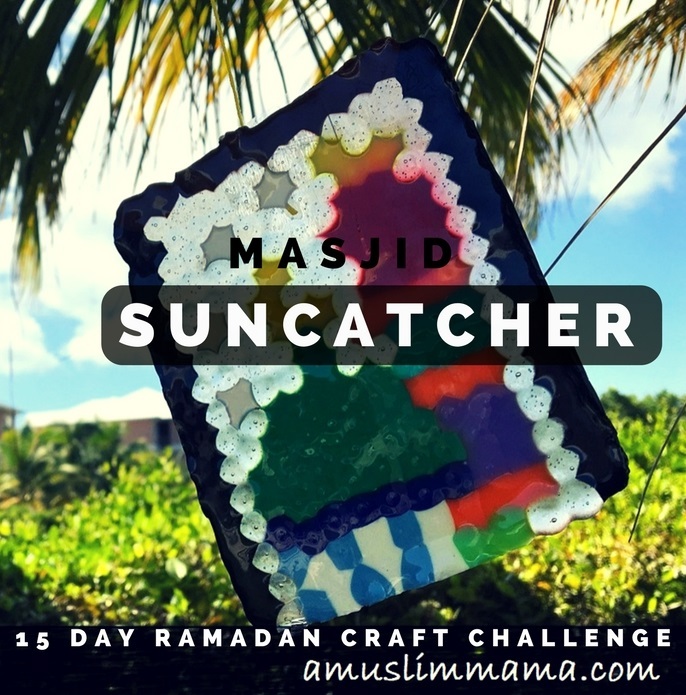 I have been so obsessed with crafting that I undertook a 15 day craft challenge here. And I am hoping to add more crafts there as well. Hopefully they will inspire you enough to gather your supplies and give it a shot. I am a Muslim by birth and choice, an Accountant by way of study, an Artist at heart, a house wife by profession and a blogger mom to two toddlers.